It is always entertaining to me that as soon as I sit down to write a blog post I have to look at the calendar to see what we've done and what is coming up. Should it be worrisome that I can't remember those things? Or is just a sign that I'm organized so I don't have to remember everything? I'm going with option number two. The weather cooperated with me and I spent a couple days in the studio. So nice. I believe that will be happening this week too. 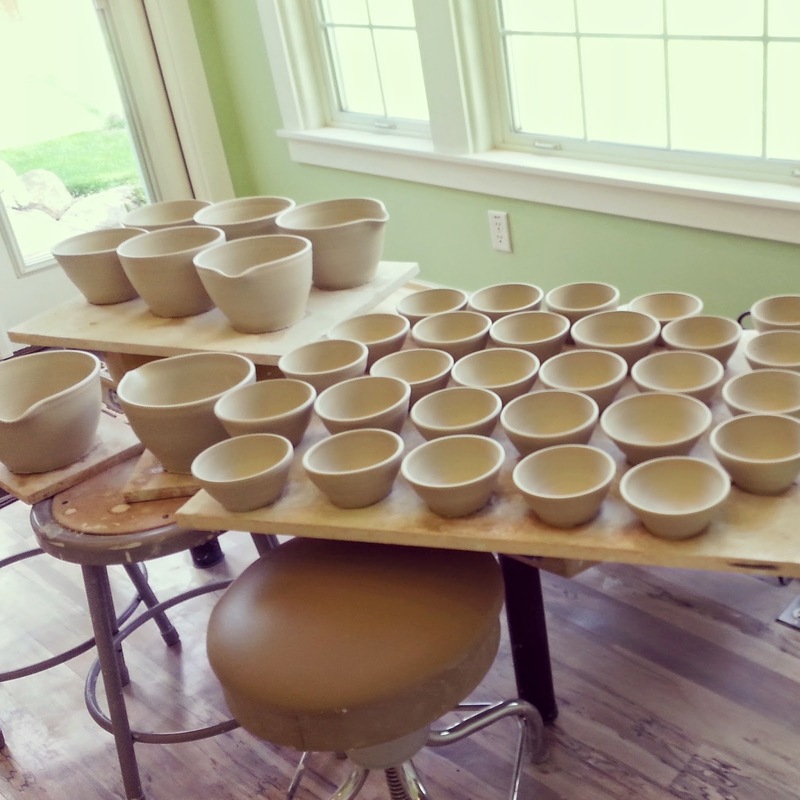 All of these pots have been trimmed, some have handles attached & holes drilled. They are now dry and waiting to go into the kiln. 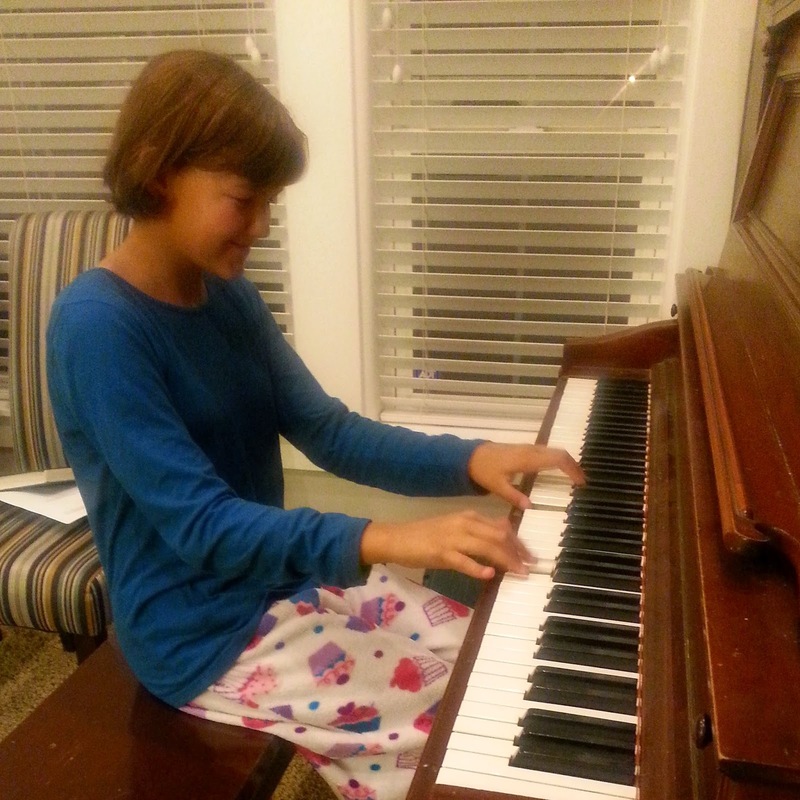 Julia has been learning a song on the piano that she loves to play. She plays this song many times a day. I absolutely love it. She sounds so happy playing. I hope she finds songs to love and plays throughout her entire life. Gretchen ran in the region cross country meet. She came in 4th overall for the JV girls and 4th for her team. She dropped 17 seconds from when she ran this same course at the beginning of September. I'm very happy for her. Her team did well and she had a great time. Now she is moving on to swim. Julia had her district middle school intramural cross country meet yesterday. She too did well and is now done with running. She was just over 90 seconds faster than the race a few weeks ago. She is super happy to be finished. I don't know if she'll do this again next year. She surprised me this year by participating so maybe she'll surprise me again. And last but not least, I made grape juice the past few days. The juice is such a beautiful color! I think I'll leave a few bottles on the counter just so I can look at them and admire the color.